The Kasabonika Lake First Nation is a remote northern Ontario community with 900 people. The Goals & Dreams Fund have donated 55 sets of hockey equipment to the community's children. TORONTO, ON (December 21, 2011) – It is the season of giving, and the National Hockey League Players’ Association (NHLPA) and the family of former Canadian Prime Minister, the Rt. Hon. Lester B. Pearson are teaming up in the holiday spirit to assist the northern Ontario community of Kasabonika Lake First Nation by donating 55 sets of hockey equipment for use by the local children, allowing them the opportunity to play the game of hockey. The equipment was donated through the NHLPA Goals & Dreams fund in honour of Lester B. Pearson’s commitment to sport, and specifically the game of hockey, as well as a means of preserving the legacy of the NHLPA’s Lester B. Pearson Award. The Kasabonika Lake First Nation is a remote northern Ontario community, accessible only by air and winter road, with a population of just over 900 people. The local recreation centre is a gathering point within the community, with hockey being the game that attracts and interests almost all who live in the community. To view photos of the children of Kasabonika Lake in their new hockey equipment, please visit www.nhlpa.com. 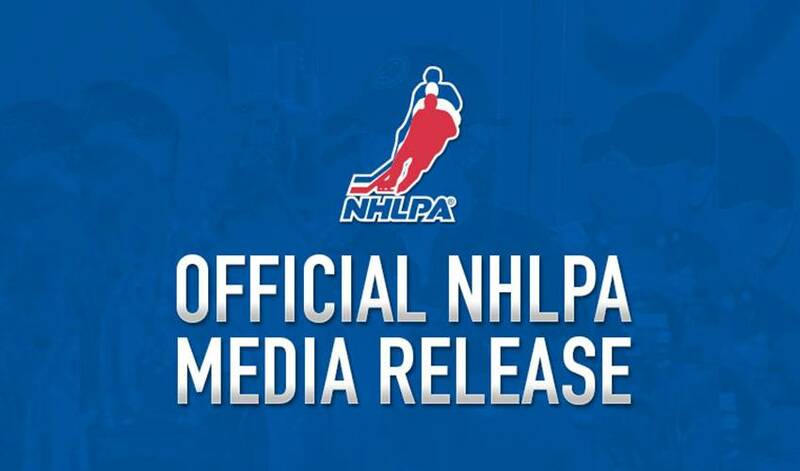 In 1999, the National Hockey League Players’ Association (NHLPA) launched the NHLPA Goals & Dreams fund as a way for the players to give something back to the game they love. Over the past 12 years, more than 60,000 deserving children in 25 countries have benefited from the NHLPA Goals & Dreams donations of full sets of hockey equipment; the players’ program has also assisted with upgrades and the building of hundreds of arenas world-wide. To date, NHLPA Goals & Dreams has donated more than $20-million to grassroots hockey programs around the world making it the largest program of its kind. The official text of the former Lester B. Pearson Award is plated on the current Ted Lindsay Award trophy, which continues to be presented annually to the “Most Outstanding Player” in the NHL as voted by fellow members of the NHLPA; the names of the Pearson Award recipients are engraved onto its wooden panels, maintaining the strong history of the Award.